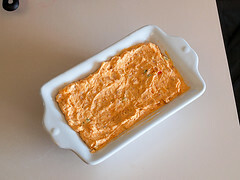 I find when guests come to visit that a good dip can make the evening. I’m not sure what it is exactly about dip that is so enticing, but I do know that a good dip recipe, or two, can be a life saver. 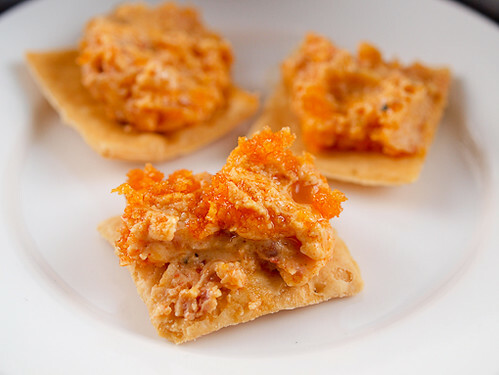 Perhaps it is the communal aspect of dips, the fact that they force interaction, that make them not only a great party nibble but an activity everyone can enjoy! I decided that I needed more warm dips in my life. It goes with out saying that if they included chorizo it would be a very good thing indeed. 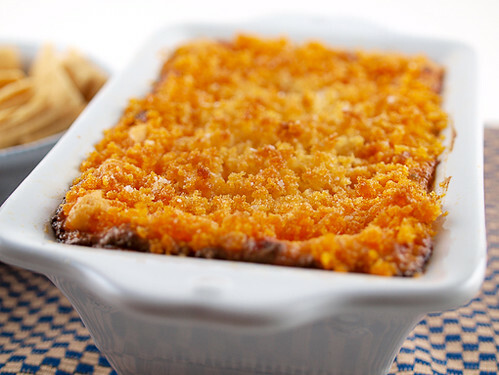 I can not begin to tell you how popular this dip was with my family. It was part of my annual Christmas Snack Buffet and was half devoured before I served brunch. Not kidding. 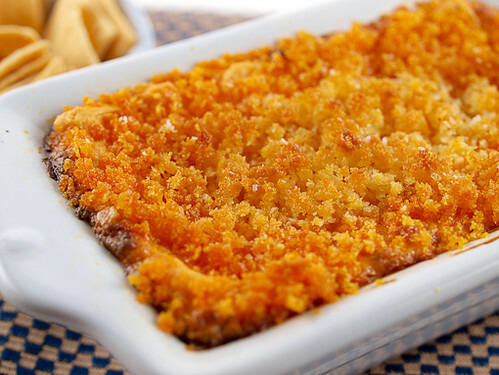 What this delivers is hearty flavor from the chorizo combined with the rich creaminess of the cheese. Spread on crackers it is delightful. Dipped onto a tortilla chip and it is nothing short of miraculous, like the best nachos you ever tasted. 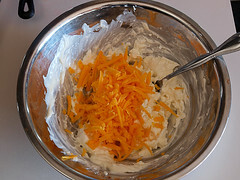 You can amp up the heat with a few dashes of hot sauce, or cayenne pepper, mixed into the cheese. I did not add those since some of my loved ones prefer mild treats, but rest assured when I make it again I will go for the kick! 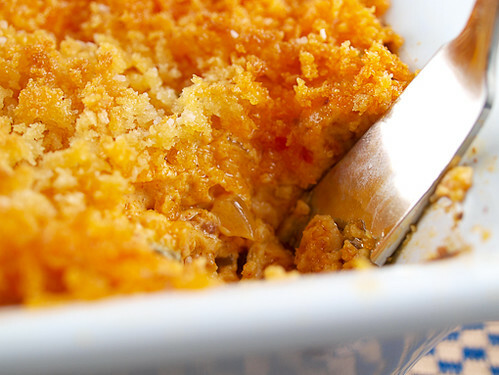 Heat the oven to 350 F and spray a small baking dish with non-stick cooking spray. 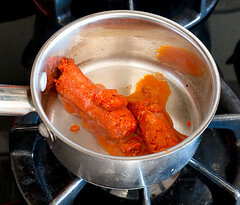 In a small pot over medium heat add the chorizo. Cook until all the fat is rendered and the meat is browned, about 8 minutes. Drain the meat on paper towels and return to the pot along with the onion and red pepper. 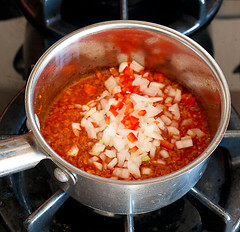 Cook until the onions and peppers are softened, about three minutes. 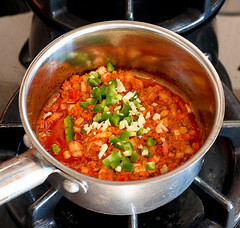 Add the jalapeno, garlic and cumin and cook until fragrant, about one minute. Remove from the heat and allow to cool slightly. 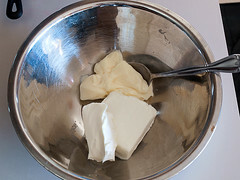 In a medium bowl mix together the cream cheese and mayonnaise until smooth. 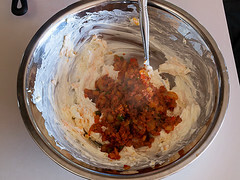 Fold in the cheddar cheese, then add the chorizo mixture and mix thoroughly. Pour the mixture into the prepared dish. 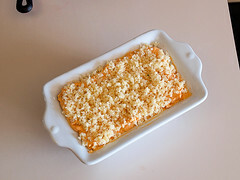 In a small bowl toss the panko, paprika and butter until evenly coated. Spread evenly on the dip. Bake for 25 to 30 minutes, or until bubbling and golden brown on top. Cool for 10 minutes before serving.